"Having Served Faithfully and Honorably was Retired from the United States Navy"
Survival Decision is a Tactical and Self Preservation/Defense training company consisting of some of the best Non-Lethal and Weapons Based Course Instruction available for private sector citizens. Sometimes serving in those "austere environments and situations" that is so frequently discussed these days, we believe that every American and community should benefit from the training and lessons we have learned through our experience. The reason for all the coffee photos? It is one of our favorite past times. Personal Defense - In Home and Outside of Home Safety and Awareness is what we want to promote. You do not have to be an elite special forces operator or black belt student to understand the basics for personal safety today. The key is awareness. The old DOD, (Department Of Defense), adage was "Be a Hard Target" meaning not an easy one. We have spent countless hours developing a highly adaptive training program for the average joe or his spouse, groups of co-workers, or community watch organization. We do not teach you to fight, but instead we teach you the awareness skills you need to avoid getting into those uncomfortable and sometimes dangerous situations we all face today. If you find yourself in one of those situations, we can also teach you how to defend yourself, with or without firearms and also how best to incorporate the other resources around us like law enforcement agencies, local security and neighbors to protect yourself and others. ​Recently retired Navy Special Warfare operator with over 24 years of combined service. Having been part of the Department of Defense all those years I was instrumental in many of the Crane Indiana and other weapons service programs that was offered through local and regional commands. I was part of several mobile training teams, served as a Weapons Officer, Program Manager and Operations Officer as a senior enlisted member. 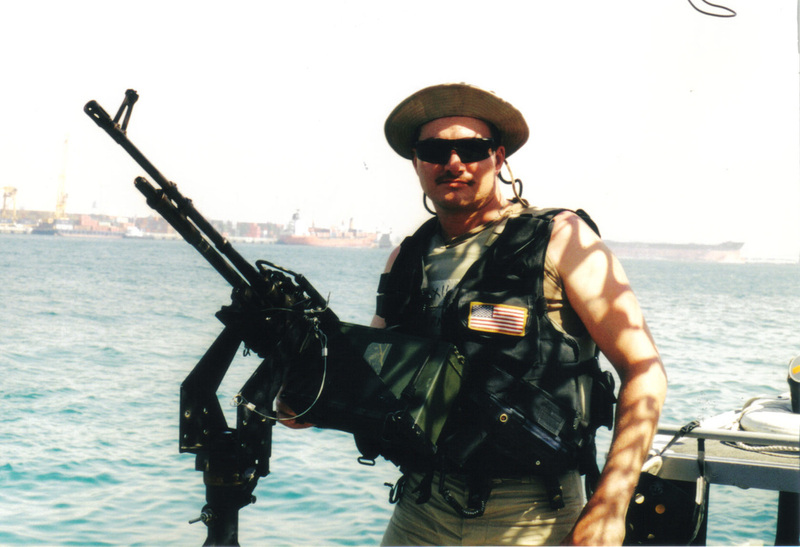 I was also a long distance shooter "Overwatch-Designated Marksman" so I am familiar with several specialized weapons systems and an avid shooter of all types and ranges. Responsible for all firearms management and range master activities including support staff and oversight of issue and receipt services, firearms range inventory and range maintenance for several commands for several years. I also trained and competed in the art of Empty Hands (Martial Arts) in Japanese Shotokan and Kenpo. This is where the development of our Self Defense stems from along with military philosophy. We are Veteran Owned and always Veteran Operated!